Painting: Oil on Canvas. Painted with a knife. 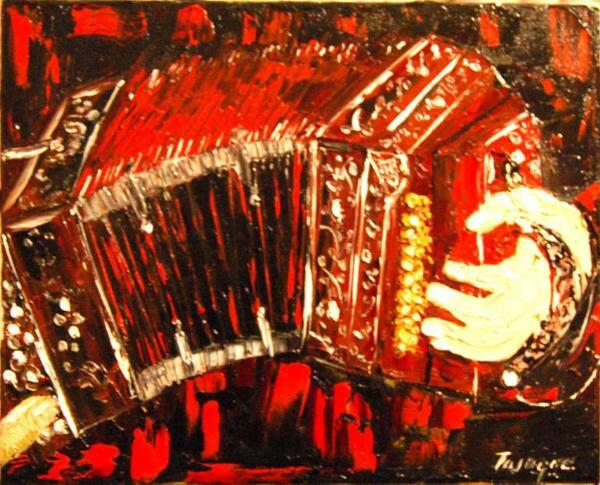 This bandoneon breathes dance and the mysteries of tango. See him twisting for you. Αυτό το Σάββατο 23 Μαρτίου ΔΕΝ θα γίνει η milonga Hermosa. Αυτή την Κυριακή 24 Μαρτίου στη μουσική ο Ozan Firat !